These offers are free with the purchase of the Author Cross Reflex (2016) Bicycle. 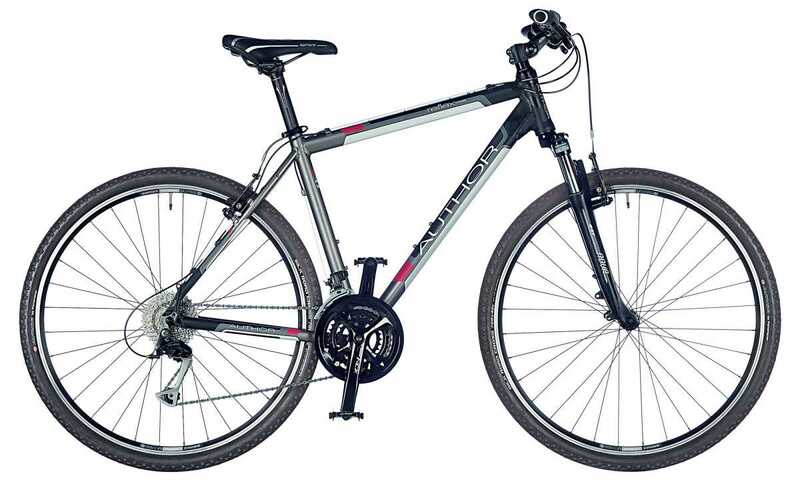 The Author Cross Reflex is a hybrid bicycle with an Alloy 6061 frame. The bicycle weighs 13.3 kgs. This bicycle comes equipped with 3x9 speed Shimano Alivio drivetrain. The shifting is controlled by 27 speed Shimano Alivio shifters. The bicycle comes equipped with a RST Neon ML suspension fork with 60mm lock out. The tires on this bicycle are Author Panaracer, Silk Road Cross - 700 x 42c or 27.5" wheels which are fitted on Author Xenon Cross, 32 Holed rims. The Price of the Author Cross Reflex (2016) is Rs.50000. 2. In what condition will I get the Author Cross Reflex (2016)? 6. How will I know if Author Cross Reflex (2016) will fit me without riding it? 7. How long will it take for me to receive the Author Cross Reflex (2016)?